With funding from the U.S. State Department, IPHD ( ) under took a project to prevent the trafficking of children in Guinea Bissau and to facilitate reinsertion to family life of returned child victims. The project was carried out between 2011 and 2013 with the help of IPHD’s local NGO partner AMIC (Associação dos Amigos da Criança). IPHD and AMIC were able to locate and resettle 210 children, most of whom were rescued from Senegal where they worked as street children, although some were found in forced labor situations on farms and others were found as prostitutes. Another 473 children, mostly labor trafficking victims, were provided with shelter services, of which 374 received medical care. All 473 children received health education information and legal aid services. In addition, all 473 children were enrolled in schools which had an IPHD lunch program. IPHD and AMIC provided training workshops for 650 government officials, as well as local community and religious leaders. Some 225 religious leaders, mainly Moslems, attended these workshops, as Moslem religious leaders are mainly involved in the trafficking of children to Senegal and the Republic of Guinea. Separate workshops were held for 115 police and border guards, 80 PTA leaders, journalists and NGO workers. IPHD also printed and distributed 2000 anti-trafficking posters, and 7,700 brochures and pamphlets, produced 3 training manuals, and broadcasted 79 hours of radio socio-dramas that reached around 500,000 people with themes on the dangers experienced by trafficked victims. AMIC set up a telephone call in system and people were able to use it to inform AMIC of trafficked situations or situations that could lead to the trafficking of a child. One of the most effective means of creating an awareness of the plight of trafficked children was through 143 street and village plays put on by child actors. Over 300,000 people viewed these plays. 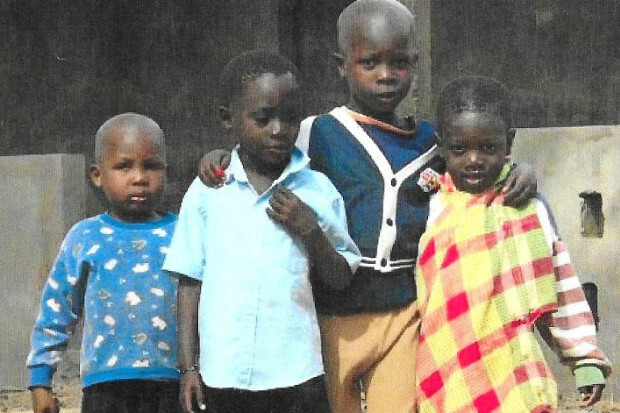 Border police were energized and began to rescue children being trafficked to Senegal. In one instance, a trafficker was arrested trying to take 20 boys and girls to Senegal. The project also supported two (2) child shelters, one in Bissau and the other in Gabu. The project is giving a new life and a great hope to the children returned from exploitation of traffickers. Children who are returned to their families are able to see their parents and siblings for the first time, perhaps in many years, and IPHD and AMIC ensure that they are able to attend school, especially primary school and that the family can take care of these children socially, medically and with the essentials required for daily life and growth. It seems that many of these children are blossoming as important members of their families and communities as they tell their horrible experience of being trafficked victims. There is a great deal of work to be done in the Gabu area, especially in conscientizing the “talibes” about the grave harm they are doing to the children they are trafficking. We have begun to conscientize the country of this problem, and while many people now realize the horrible effects that trafficking has on families, communities, and even the nation, it will take some years yet before we can eliminate most of this problem.